Bowling Alone and American Grace famously brought author Robert Putnam and wide readerships together. Social scientists of some sorts often alienate audiences and readerships when they choose to speak or write in dense and turgid phrases. But perceptive and phrase-making Putnam can hold his own with eloquent peers when gathering resources, summoning data, or framing an argument. Adept at fusing his scholarly and social passions, he sometimes gets called an evangelist or prophet for his causes. His current issue, set forth in his well-reviewed new book, Our Kids: The American Dream in Crisis, is drawing attention, as it should. Putnam, not first of all a complainer, this time reaches for extremes: “We” and “Our Kids” are not merely confused or apathetic or drifting. We are clearly in crisis. Or the book could get dismissed as one more complaint about social class and the economic debates connected with both, or all, sides of class division in America. Also, it could be ignored by those who tire of nostalgic reckonings about “the good old days;” Some celebrations of them do appear here. Putnam lovingly invokes the past as he begins with references to his own childhood years and to locales like the town in which he grew up. Winsomely and with clarity he writes about a time when the boundaries between classes were not as defined and drastic as now. But as he looks at the contemporary scene, he finds plenty of reason to describe the class gulf as “in crisis” and the “American dream” not merely fading for millions, but becoming almost irretrievably out of range for their young. What’s missing, especially for the millions of “Their Kids” in America today? They lack agencies where “social capital”—an old Putnam phrase—is tended to. Voluntary organizations, support groups, clubs, neighborhood places, which encourage bonding and interaction are disappearing from the scene for the millions who cannot advance. Putnam does find that the kids of the affluent parents “have more education, . . . go to church,” etc. “Children in the lower third are less likely to play sports or to go to church.” Lemann chides Putnam for under-devoting himself to hard and more radical political and economic analysis and prescribed addresses to the crisis, but his is a start. Religion and church play a larger role in Cathy Lynn Grossman’s comments in Religion News Service. She cites Putnam’s devotion to Martin Luther King, Jr., “and even Pope Francis” as creative visionaries and nudgers. Whoever has seen the activities of religious communities among the rural and urban lower classes will be cheered to see the benefits to the smaller circles of social capital “investors” and large scale political efforts. Lemann, Nicholas. “Unhappy Days for America.” Review of Our Kids: The American Dream in Crisis by Robert D. Putnam. New York Review of Books, May 21, 2015, Books. http://www.nybooks.com/articles/archives/2015/may/21/our-kids-unhappy-days-america/. Grossman, Cathy Lynn. 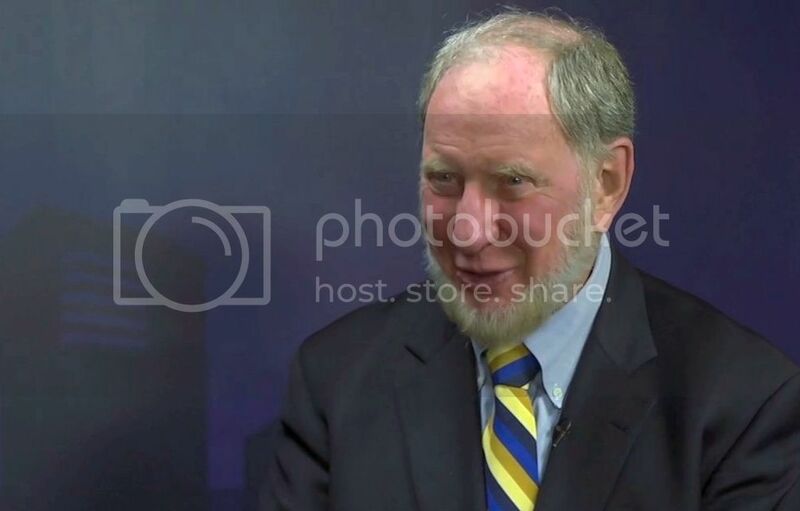 “Robert Putnam fights America’s ‘opportunity gap’ with religious fervor.” Religion News Service, March 30, 2015. http://www.religionnews.com/2015/03/30/robert-putnam-pope-francis-poverty/. Reeves, Richard. “Our Kids: The American Dream in Crisis by Robert D Putnam review - concerned, scholarly.” Review of Our Kids: The American Dream in Crisis by Robert D. Putnam. The Guardian, April 20, 2015, Society The Observer. http://www.theguardian.com/books/2015/apr/20/our-kids-american-dream-in-crisis-robert-putnam-observer-review. DeParle, Jason. “‘Our Kids,’ by Robert D. Putnam.” Review of Our Kids: The American Dream in Crisis by Robert D. Putnam. New York Times, March 4, 2015, Sunday Book Review. http://www.nytimes.com/2015/03/08/books/review/our-kids-by-robert-d-putnam.html. Wolfe, Alan. “Book review: ‘Our Kids: The American Dream in Crisis‘ by Robert D. Putnam.” Review of Our Kids: The American Dream in Crisis by Robert D. Putnam. Washington Post, March 6, 2015, Opinions. http://www.washingtonpost.com/opinions/the-persistence-and-danger-of-americas-class-hierarchy/2015/03/06/fe92bb50-b076-11e4-827f-93f454140e2b_story.html. Image: Robert D. Putnam (2013). Source: Vimeo screen shot. To subscribe (receive Sightings by email every Monday and Thursday): please click here, or visit http://uchicago.us6.list-manage.com/subscribe?u=6b2c705bf61d6edb1d5e0549d&id=9e1fd51b8e. To comment: email the Managing Editor, Myriam Renaud, at DivSightings@gmail.com. If you would like your comment to appear on this page, please provide your full name in the body of the email and indicate in the subject line: POST COMMENT TO [title of Sightings piece]. For Sightings' comment policy, visit: http://divinity.uchicago.edu/sightings-policies.